Children's programme. The Tombliboos play their music so fast that everybody does everything very fast. 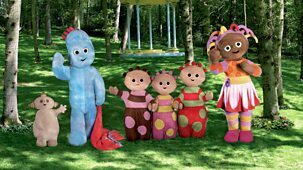 The Tombliboos are having fun in the garden, but whatever they do, their trousers keep on falling down. 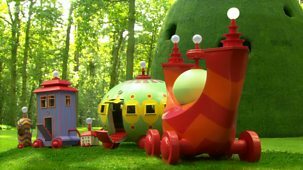 The Tombliboos wave to everyone as they fly through the garden in the Pinky Ponk. The waving game makes everyone in the garden happy. Children's series. Makka Pakka rides on the Ninky Nonk. 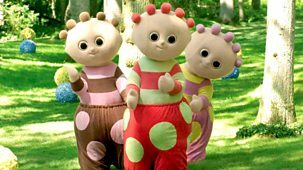 The Tombliboos are playing when the Ninky Nonk stops, so they decide to join Makka Pakka. Children's programme. 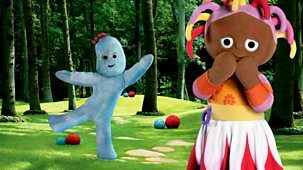 A mysterious jet of water appears suddenly next to Igglepiggle. He is delighted to discover that he can control it by stamping his feet.